Graphene has been called a "miracle material" and it is thought that it could become as common as plastic in a few years. It is a single layer of carbon atoms arranged like honeycomb, but it is stronger than diamond, more conductive than copper and more flexible than rubber. 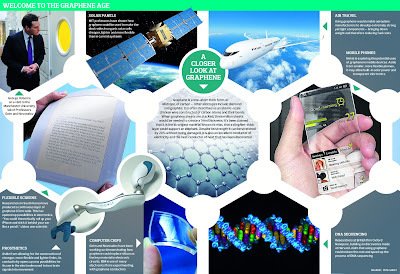 Some scientists believe that graphene will be the key element in driving product innovation in the near future.